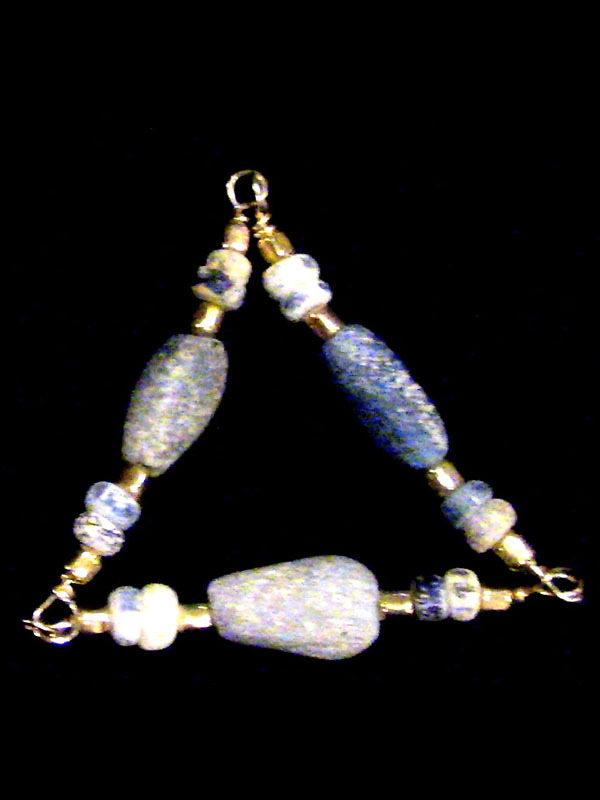 Ancient Cobalt Blue Glass & Gold in modern gold wire reconstruction. Teardrop mains and rondel sides make this a beautiful and useful meditation tool. The high-karat square beads make this a superb item for the “special set” of Triads reserved for special situations. You can set and re-set the usages of Triads using your Matrix, which we’ll cover in the workshop. Modern gold wire holds this together and makes it useful. The ancient wire doesn’t hold up well under stressful use, and the modern wire must be replaced periodically with a lot of usage.